Above: The Stave’s new whiskey selection. Photo courtesy of The Stave. 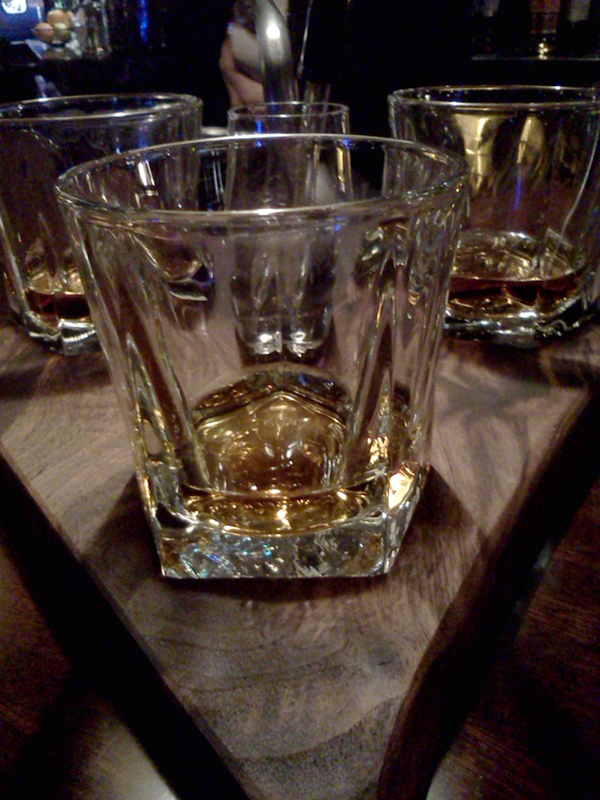 Below: Whiskey flights. Photo by Alex Roman. Building on its mission to be a classic-style full bar, Downtown Long Beach’s The Stave recently launched Whiskey Wednesdays, which will feature rotating flights of the tasty distilled beverage. With its mix of classic and modern décor, the decision was made, in part, because after hanging out at the bar for a while, a lot of people told Co-Owner Garry Muir the place looked like a scotch bar. Muir and Co-Owner Natalie van Waardenburg also saw it as an opportunity to really establish The Stave as the premiere bar in Long Beach. Each week, The Stave will serve three themed selections from its list of more than 80 whiskeys, which features both foreign and domestic brands and a range of styles and mashes from bourbons to scotches and ryes to corn. Each $17 flight will be served neat in rocks glasses and presented on heavy walnut flight boards with a water back that serves as both a chaser and palate cleanser. Week one’s flight had a Kentucky Bourbon theme with The Stave’s knowledgeable staff pouring Basil Hayden, Eagle Rare Single Barrel and Elmer T. Lee. The selections were ideal for both aficionados and newbies who are looking to learn about and taste different whiskeys before shelling out the cash to buy a bottle at home. With its sweeping 60-foot angled wood bar, black vinyl seating and open space, The Stave opened last October as a wine and beer bar, featuring a hand-curated wine list, as well as a simple selection of food, including traditional charcuterie and cheese plates and selections from nearby Michael’s Pizzeria. Since then, it has grown with a selection of various vodkas, gins, tequilas, whiskeys and cognacs, while also offering a small selection of classic signature cocktails you may see the cast of “Mad Men” sipping, including White Russians, Manhattans and Old Fashioneds. The Stave’s growth was part of its plan all along to carve out its own niche in Downtown Long Beach alongside the beer havens, wine bars and dive establishments that have become the fabric of the area, explained Muir and van Waardenburg. 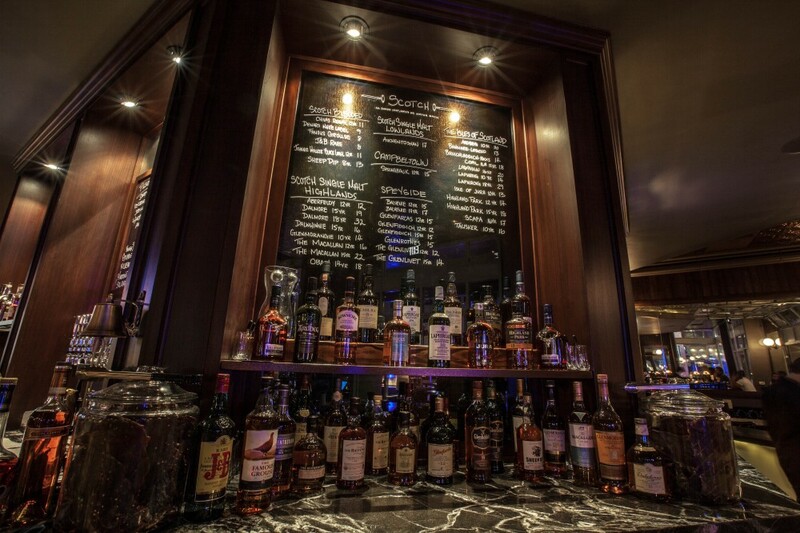 With its wine, beer and spirits list combined, The Stave now offers close to 250 different drinks. Van Waardenburg said the evolution has made her feel as if she and Muir relaunched and re-branded, because it is a much different bar than the one they opened in October. The bar plans to up the whiskey ante when it applies for its cigar license this summer. Until then, van Waardenburg and Muir said The Stave will probably not be making any radical changes to its current set of offerings other than tweaking its selections and possibly adding a couple more signature cocktails.